Zeus II, one of the most recognizable slot games from WMS Gaming has been available online for several years. But somehow they removed this game a couple of months back, along with a lot of other WMS Gaming slot games. Now the game is back and I am very happy about this, because I like the game and I know players love this classic. 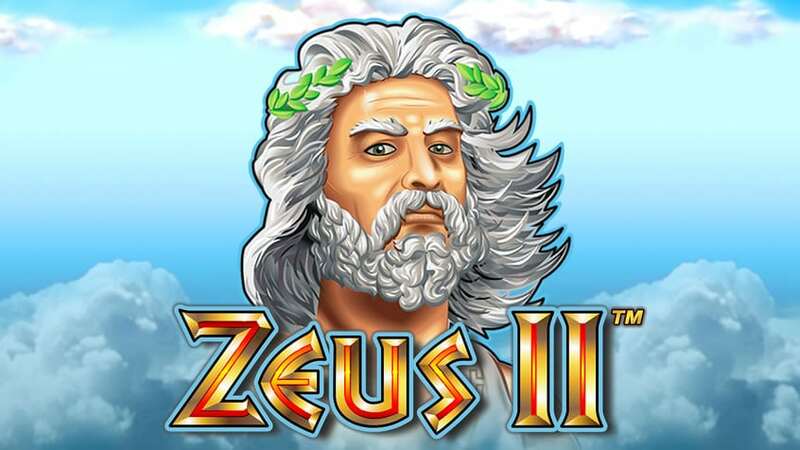 Zeus II is a 5 reel, 4 symbols high slot game with the well-known Zeus theme. And this game comes with two bonus features. The Zeus symbol, which is the highest paying symbol, beside the wild symbol, appears stacked on all reels. Landing a fully stacked Zeus symbol on reel 1 will reward 2 free re-spins. During these re-spins all Zeus and wild symbols will be held. After the re-spins you are rewarded with your win. Getting 3 bonus symbols on reels 1, 2 and 3 will award 10 free spins. During free spins wild symbols now also appear stacked on all reels. And the re-spin feature can also be activated during the free spins feature. With bigger chances to fill the screen with Zeus en wild symbols. Getting 3 bonus symbols during free spins will add 10 more free spins. Zeus II is one of those classic slot games which is still popular in land-based casinos and online. You can get some good wins on this game, especially during re-spins and free spins bonus. Check out Zeus II slot game at Videoslots, one of the best online casinos out there today.